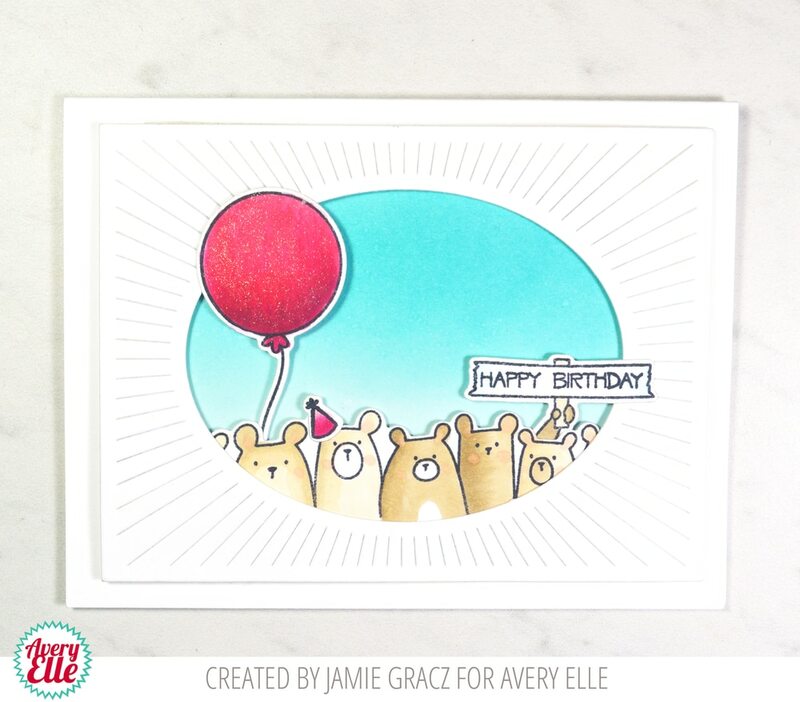 Use the Avery Elle All Of Us stamp set to create a cute greeting from a group of sweet critters. 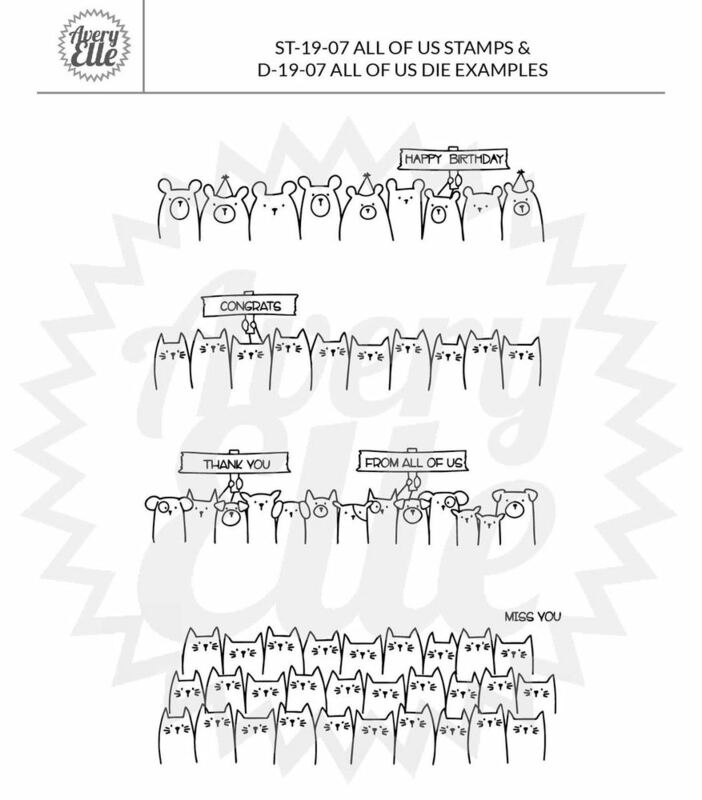 The stamps consist of a group of 9 bears, 10 cats, and 13 dogs along with various greetings and signs that can held by the animals. 11 total stamps. 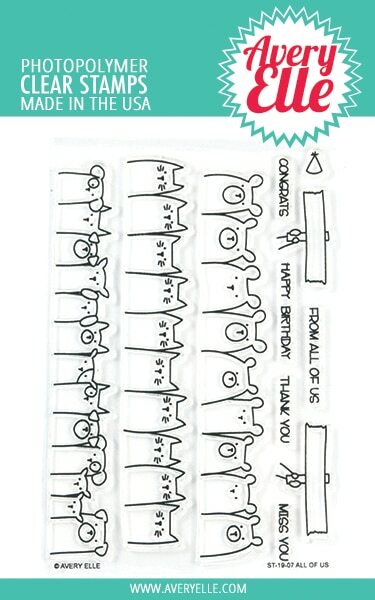 "From all of us" sentiment stamp measures: 1 5/16" x 1/8".